If you love the idea of infusing mysticism into your makeup routine, then we have some good news for you. 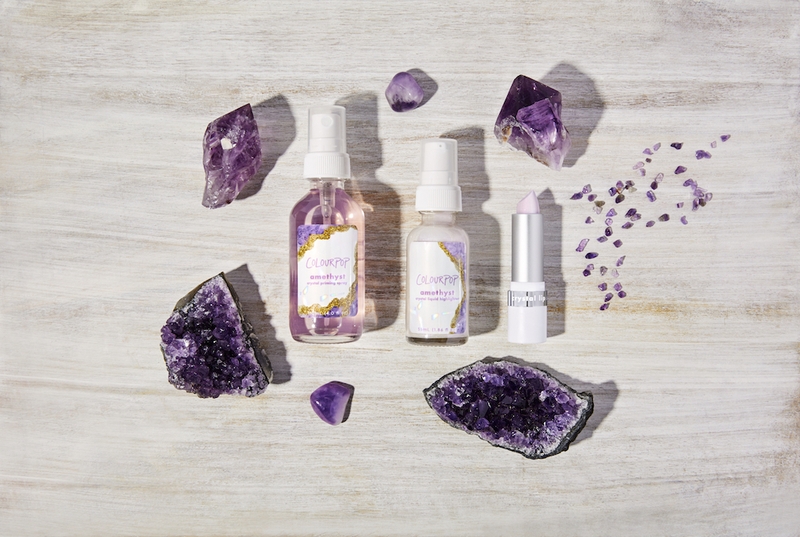 After making huge waves during its first launch, ColourPop’s Crystal Crush Collection has returned to us in all its quartz-y glory. For those who missed out on the first wave, the quickly sold-out, limited-edition ColourPop Crystal Crush Collection featured products sets based on four different crystals: Aventurine, Aquamarine, Amethyst, and Rose Quartz. Each of the sparkly ColourPop Crystal Crush Collections include a themed setting spray, priming spray, liquid highlighter, and lip balm. The Aventurine set is all about adventure, while Rose Quartz is a romance-themed collection, Amethyst is for inner wisdom and strength, and Aquamarine is supposed to evoke tranquility during times of stress. All four crystal-themed collections will be relaunched on Thursday morning at 10 a.m. PST. We are beyond thrilled to hear this. If you don’t want to swing a whole set, or you’d rather mix and match, you can buy the themed liquid highlighters, lip balms, or setting sprays individually. The highlighters and setting and priming sprays cost $6 a piece, while lip balms go for $3. So it’s all affordable! And you can buy a whole set for just $21. All four of these sets are gorgeous; picking a favorite seems nearly impossible. But we’re up for a challenge. Be sure to check out ColourPop Cosmetics Thursday at 10AM PT for this restock!